The sun rose on May 25, 1959 and set on January 28, 2019 for Darlene Privott at the age of 59. Darlene was the seventh child born to the late Freddie and Gladys Lindsey on May 25, 1959 in Norfolk, Virginia, where she was raised in the Coronado section of Norview. She was a member of Queen Street Baptist church. She graduated from Norview High School in 1977. To further her career, she decided to go to college where she earned an associate degree m Early Childhood Development from Tidewater Community College. She loved teaching and working with children. She worked at HR CAP – Head Start for over 30 years up until her death. Darlene was a devoted wife, mother and grandmother. She was united in holy matrimony on December 2 7, 1986 to the love of her life, Larry Privott, for over 30 years. She enjoyed spending time with her family and especially her grandchildren, whom she adored. She had a heart for people and would do whatever she could do to help anyone in need. In her free time she enjoyed people and would do whatever she could do to help anyone in need. In her free time she enjoyed going to the casino, eating at Captain George’s and looked fmward to going to the family reunion. Darlene will be greatly missed by her family and friend, co-workers, and neighbors. Darlene is predeceased in death by her father, Freddie Lindsey, Sr., Charlene (sister), Calvin Lindsey (brother), Leonard Lindsey (brother), and a hose of aunts, uncles, and grandparents. She leaves to cherish her memories her husband, Larry; three sons and one daughter in-law; Antoine Privott and wife Maria, Darnell Privott, and Travis Privott; five grandchildren; Odyssey, Nevaeh, Aaliyah, Ona, Tiana. She is survived by her brothers and sisters; Freddie Lindsey (Denise) of Norfolk, VA, Charles Lindsey of Newport News, Jesse Lindsey (Juanita) ofNorfolk, VA, Gladys Lee (Robert) of Newport News, Karen Shamb1y (Edward) of Norfolk, VA, (Icesoline) of Newport News, Deborah Johnson of Norfolk, VA, and Gaiy Lindsey of Norfolk, VA and a long-time friend, Natasha; and a host of nieces, nephews, cousins, and friends. To the family I’m sorry for your loss and you all are in my prayers. My sincere condolences to the family and friends. May God Grace and Mercy shine upon you at this difficult time. Darlene was truly a special loving lady. Please accept my sincere condolences in the passing of your loved one, Darlene. She was such a sweet person to be around. I worked with Darlene for a number of years at the STOP Organization Head Start Program and CDI. She loved children and cared about her job. She will be missed tremendously. May God sustain and Bless you during this time need. My prayers to the family. To the Family. Darlene fought to stay for as long as she could, and then the heavenly gates were opened up to her. She was welcomed by family who went on before her. She is there with her heavenly family now. Embrace that visual. 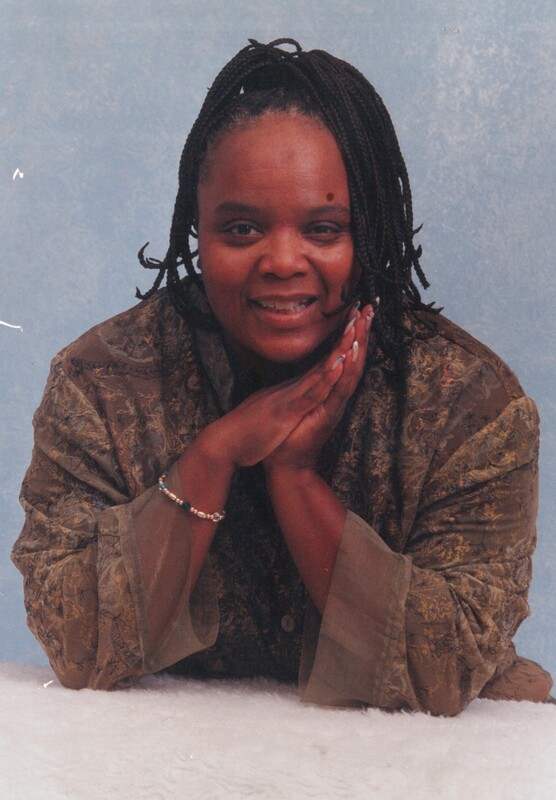 Brenda Askew and family sends prayers of comfort to the family. Such a sweet soul called home.Always will be remembered with a smile. Ms, Privott was a loved and extraordinary woman. It was great working with her for the time I did. She was a great teacher and mom, my prayers and condolences go out to her family. May she rest easy! Darlene possessed a rare soul that was so pure and this world was made better just by her presence in it. For those of us who were blessed to know her personally, we are truly thankful that God chose us to share in her spirit here on earth! For the family, especially her children and grand-children, I pray for the strength and endurance that only God can bestow! God Bless Darlene’s soul. She will truly be missed! Ms. Privott will truly be missed! I pray she Rest In Peace. As much as I would love to attend services, prior commitments prevent me from doing so. My apologies to friends and family. As Ms. Privott’s co-worker, she will be greatly missed. Her fighting spirit is an inspiration to us all!